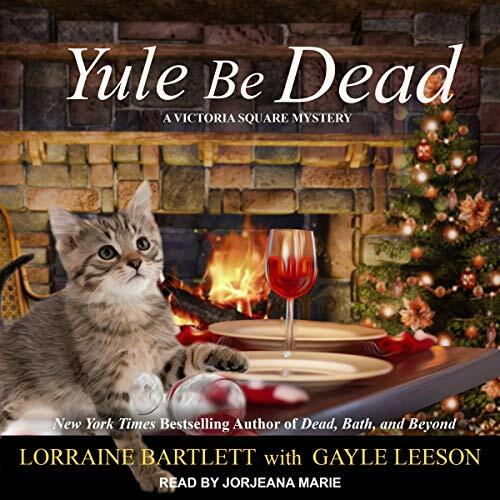 Showing results by author "Gayle Leeson - contributor"
It's Christmastime, but not everyone is jolly - especially not Vonne Barnett. Her dead body has been found in Victoria Square. Katie Bonner, the manager of Artisan's Alley, happens to be at the tea shop Vonne's mother, Francine, owns when the news is delivered. Vonne left a trail of men behind her so the suspects are many - but the clues are few. A broken teacup leads Katie to one of the suspects, but before she can investigate, she's attacked. Katie may be closing in on a murderer, but time is ticking because the murderer is definitely closing in on her. The best yet in this series!